The day job affords me the occasional perk: random Paramount Picture DVDs, semi-annual trips to Park City, access to Lollapalooza’s scrappy craft services tent. In general, though, mine’s a desk job. I write email all day. Today, though, provided a brief respite from the usual. For fifteen minutes this afternoon, I was fifteen-years-old again. Record labels have a whole host of strategies for drumming up press support for its artist’s forthcoming releases. The most tried and true is the “listening.” Today, a duo of young Warner Bros. publicists set up camp in the 28th floor conference room (which, by the way, looks exactly as you’d expect a corporate media conference room to: a warmly-lit fifty foot-long table surrounded by over-priced, over-stuffed leather chairs) to afford my colleagues an eye an early listen to R.E.M. forthcoming, Accelerate. Rote as that myth may be, though, the band’s import and influence can’t be overstated. Example: People meet me after hearing my songs and say, “Oh, I figured you had a southern accent.” That’s me ripping off Michael Stipe. Moreover, Michael (for better or worse) has been a huge creative influence. I think of him when I write lyrics. I think of him when I take photos. I think of him when I get dressed. To one degree or another, my sense of what constitutes art is informed by the lyrics to “Wendell Gee,” the video for “Losing My Religion” video, and the album cover for Document. All of which explains why I was nearly trembling as these young publicists pushed play. From the five songs I heard this afternoon (many of which were well-documented during the band’s week long Dublin rehearsals last summer), the band seems to have torn a page from The Bruce Springsteen playbook. Implausible as it sounds, it stands to reason; REM and The Boss shared the stage for the ill-fated Vote For Change Tour in 2004. Stipe and company seemed to have learned a thing or two about embracing one’s past — revisiting it, even — as a means of staying present (and current). As a result, what I’ve heard of Accelerate — like Springsteen’s Magic before it — borrows heavily from the best of the band’s back catalog. There are snippets of the now-trio’s finest hour (which most would argue began with the band’s 1982 debut, Chronic Town, and ended with drummer Bill Berry’s 1997 departure) here, but the album isn’t a retread, it’s a reboot. 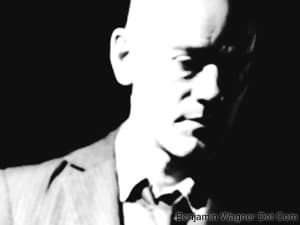 When our preview was done, the young publicists pledged to us that this album, R.E.M’s fourteenth, is the band’s most assured and urgent in years. Judging by the barrage of careening, carousing, staccato guitars on Accelerate, he is. And judging by what I heard today, I will be too come April 1. Hey, what a good review. Nice that you got the opportunity.